Home » Reset Printers » Canon Reset Counter » Canon Pixma iP1200, iP1300, iP1600, iP1700, iP1800, iP2200, iP2500. 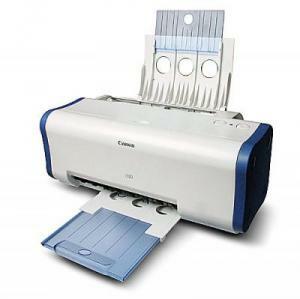 Canon Pixma iP1200, iP1300, iP1600, iP1700, iP1800, iP2200, iP2500. The program is designed for service works with the printer Canon iP-series in Normal mode at the moment are supported : iP1200, iP1300, iP1600, iP1700, iP1800, iP2200, iP2500. Expanded information on the printer ink in the cartridge level, and containers for the waste of ink. Printing test samples for testing nozzles PG. Changing the delay value for drying. Obnulenie counters level black and coloured ink cartridges. Clear the counters occupancy “core” and “supplementary” containers for the waste of ink. CY – colored ink cartridge Cyan. MG – colored Magenta ink cartridge. YL – Yellow colored ink cartridge. WM – “core” container for the waste of ink. WP – “additional” container for the waste of ink. Port Name – displays the name of the printer port on the system. 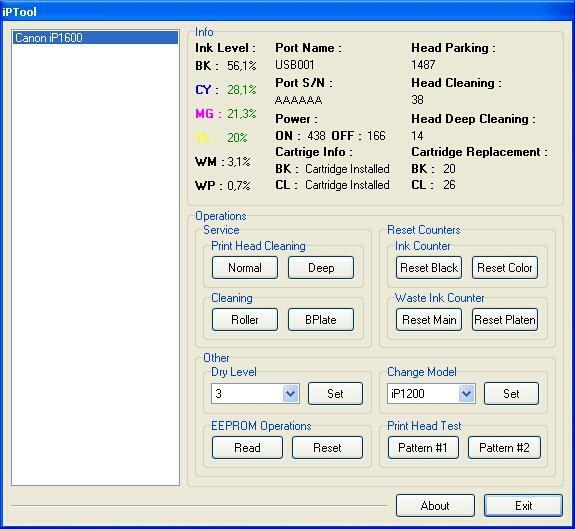 Port S / N – shows the serial number of the printer port. OFF – to turn off the printer. Thx. for your task. I have both an IP4200 and IP3000. IP3000 has shown to have the “reset counter” problem. Still not in IP4200. I am using a iP1200. I have downloaded the software from above. but i am having one problem. the software shows unknown on all the fields in the info section. Sorry, this is the first time I hear about Canon IP4790. I think this is a new model of canon printer. So please keep tracking this site, we will update your printer model soon. hello. can anyone guide me on how to reset canon pixma mp 145 & mp160.. i’ve try so many times. but still can’t.